There are a lot of life situations when you need to travel and you do not have anybody to leave your pet with or you do not even think about it. According to the information provided by Road and Travel Magazine, nearly 80% of pet owners are used to traveling with their pets. But traveling with your Yorkie can turn to be a real nightmare and there are some tips to avoid it. You need to start with preparation for your traveling and it is better to book your tickets in advance to have some time to perform this preparation. Pinterest is a relatively new pinboard-style photo-sharing website that allows users to create and manage theme-based image collections such as events, interests, and hobbies. Users can browse other pinboards for images, “re-pin” images to their own pinboards, or “like” photos. 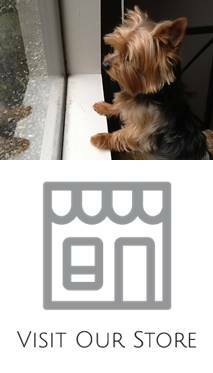 This is a great resource for finding adorable pictures of Yorkies – just type in Yorkshire Terrier in the search. Have you found a puppy that you simply can’t live without? If the breeder is within driving distance, then you’re quite lucky. Unfortunately, breeders can often be hundreds, if not thousands, of miles away, and the logistics of getting your newest addition from point A to point B can be quite overwhelming.